Ok, everyone knows I like shiny stuff right? Right... That's why I'm always blinging any of my possessions that can be blinged with loads and loads of SWAROVSKI ELEMENTS!! 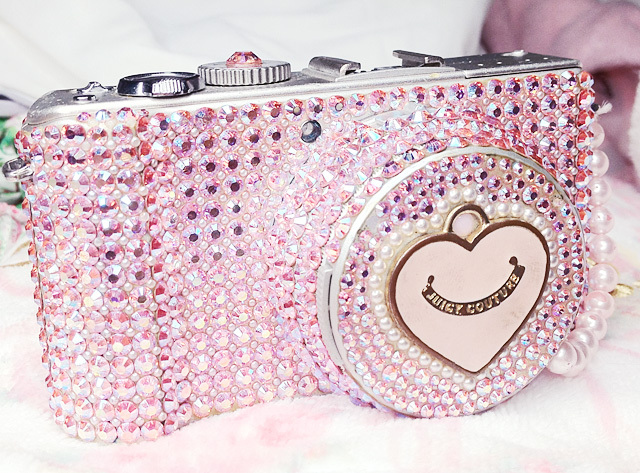 Like this gorgeous camera? You love? 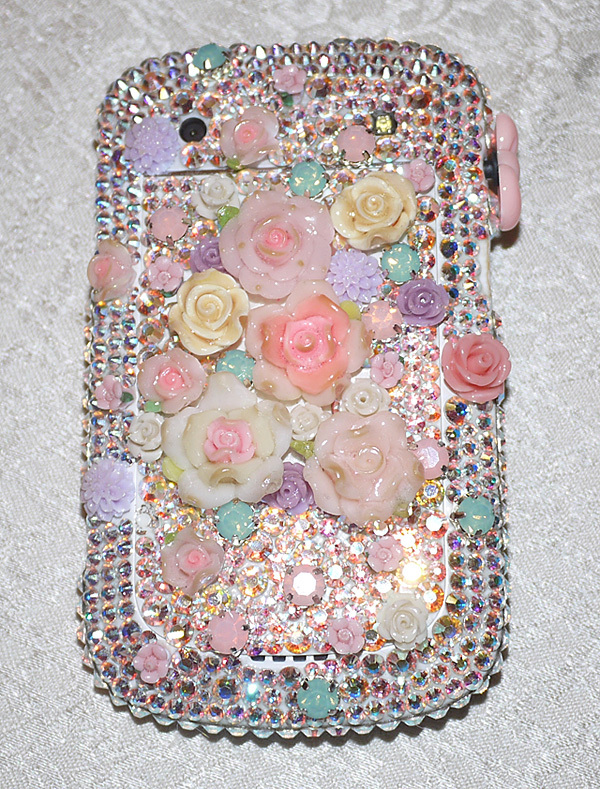 But just sticking crystals on stuff is not the end of what you can do with SWAROVSKI ELEMENTS!!! Thanks to this advert, I recently went to a SWAROVSKI ELEMENTS workshop and it turns out you can also use their crystals to make your own jewellery!!! I mean, I've seen Swarovski Beads and Swarovski Sew-on Stones in craft shops before but because I always thought making your own jewellery was hard, I just never bothered to learn and try... BUT TO MY SURPRISE IT IS SO EASY!!! 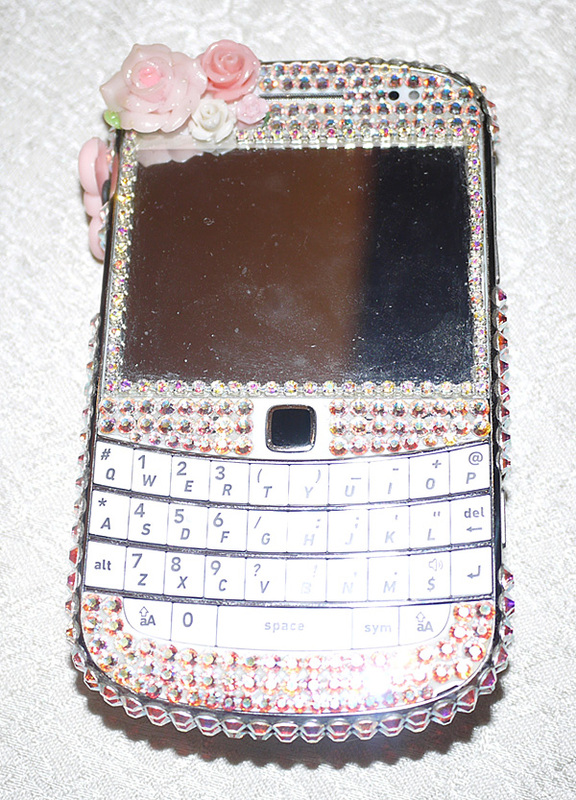 Just like with Swarovski Flat Back No Hot Fix, the possiblities are endless when it comes to design and personalization!! 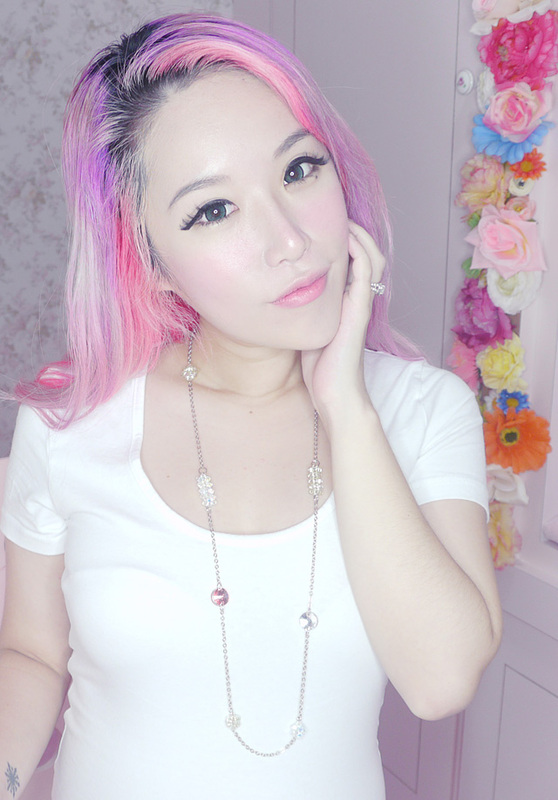 Here's one of the necklaces I made in about.... 15 minutes? I always feel photographs don't do justice to SWAROVSKI ELEMENTS... They are really very shiny in real life sparkle whenever you move!! 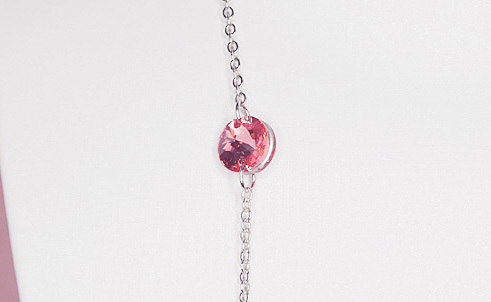 Rose peach SWAROVSKI ELEMENTS Sew-On Stone... 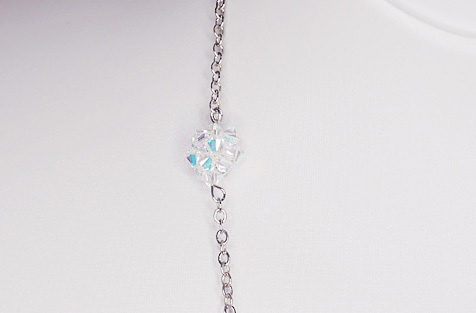 It's a flat crystal meant to be for sewing on your clothes but with a bit of innovation it can also be part of your necklace. 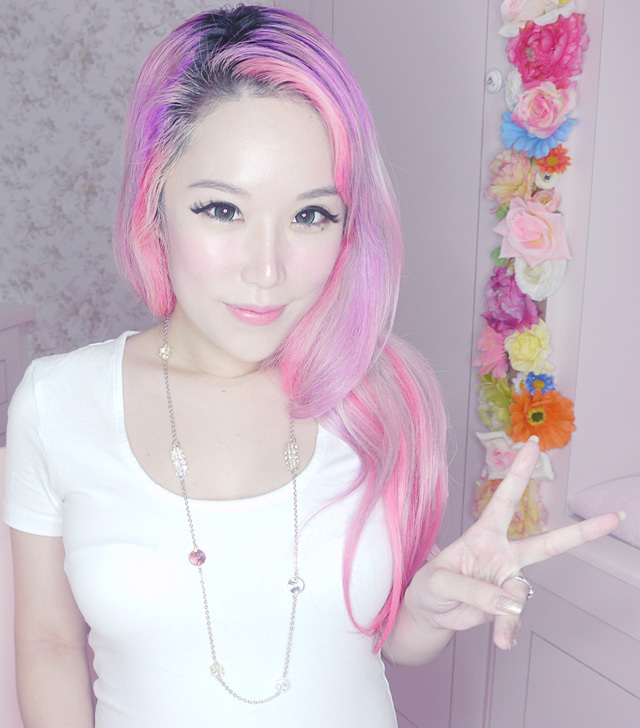 Want to learn how to make this necklace? I made a video tutorial!! Wait, I'm not done yet!! If you wish to learn more about how to use SWAROVSKI ELEMENTS to create your very own customized pieces, COME JOIN OUR WORKSHOP!!! 1) Mingle with your favourite blogger!! That's me lol.. And I will be *ahem* passing down our skills from what I've learnt so far. 2) No need to be confused as you watch videos/read books on how different techniques... It's much easier to learn with a physical demonstration and you can ask all the questions you need. Then you bring home the skills!! You decided to come yet? You can always go to www.create-your-style.sg for more details, and do remember to visit and like the facebook page HERE!! See you guys at the workshop! !